In the event of an emergency, please do not use our traditional online form to make an appointment. If you notice your pet is not feeling well and you believe it is an emergency, please CALL our hospital at 650-779-4125. If this emergency occurs while San Bruno Pet Hospital is closed, please call North Peninsula Veterinary Emergency Clinic at 650-348-2575.  If you notice what could be an emergency, do not waste precious time filling out our online form or evaluating whether or not your pet is really having suffering—call us! The safest course of action is to always seek veterinary attention first and foremost. In the instance that your best friend appears to not be feeling well and you bring them in and it turns out to only be a mild stomach ache, no harm has been done. However, if it is something more serious, and you ignore it, the worst could happen. And don’t forget that you can contact North Peninsula Veterinary Emergency Clinic at 650-348-2575 when we are closed—they are open 24/7.